Every summer I give myself a list of movies I need to watch or books I need to read when I have even the briefest moments of spare time. I’m still working on the movie list, but I managed to cross off one from last year: Coco Before Chanel. 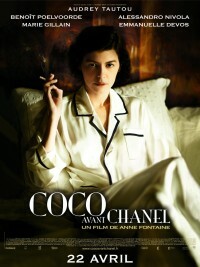 It was gorgeously filmed, with Audrey Tautou (I knew her from The DaVinci Code) playing a perfectly young Coco Chanel. I have to say it was a bit bittersweet, and my feelings for the character were mixed; she’s a natural liar and a bit snarky at times, but the tragedies she faces almost make up for it. The film is in French, with English subtitles, which I loved since I’m attempting to learn and all. I wouldn’t recommend for a date night movie, since I can think of very few guys that would be willing to sit through a French movie about the early life of one of the world’s most iconic fashion designers. But, if you feel like fixing yourself some pasta and a glass of red wine and a bowl of gelato and sitting down to have a movie date for yourself, four stars! I’m sure there will be many more of these to come, so bear with me, and hopefully you’ll find this helpful to cure any summertime boredom. 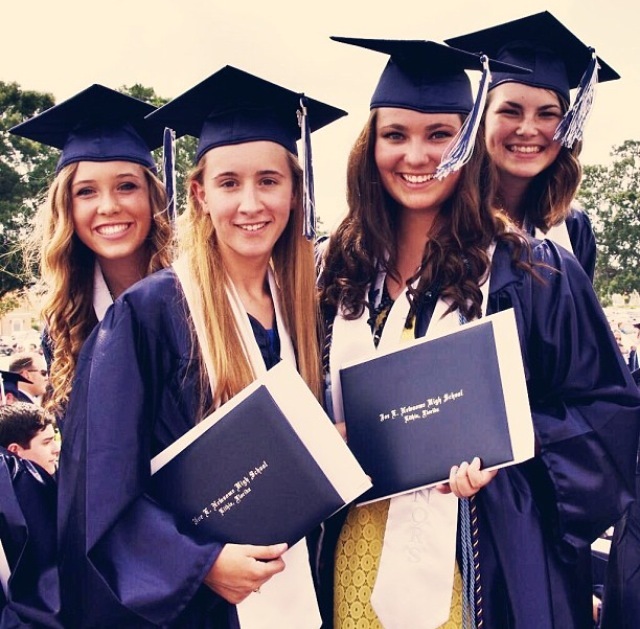 Facebook is loaded up with graduation images now, given that it’s that time of the year, and I’m feeling fairly bittersweet about it. It’s been an extremely short and action-packed year, moving to Europe and starting/finishing my freshman year at a huge university. Needless to say, I’ve made a lot of mistakes, learned a lot of lessons, made a lot of friends that I am so grateful for, and done a lot of things I never dreamed I would; if this is just the beginning, then I am beyond excited for the next three years. That being said, I still feel like a baby and know without a doubt that I have a lot left to learn and experience. Here’s a few things my freshman year has taught me. 1. Roommates are terrifying at first, but they can easily become your best friends if you let them. I went random, with no desire to live with anyone that I knew from high school. That’s how I roll when I start new, with a clean slate, and I wouldn’t trade my roommate for the world. 2. 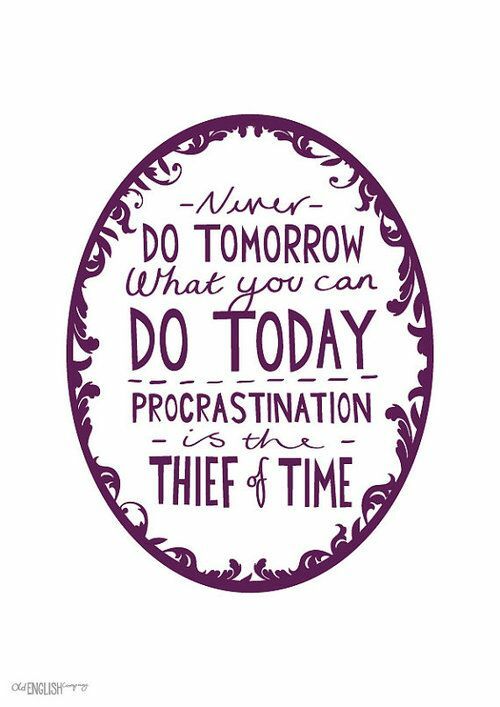 There is no one to tell you to do your homework. Unless you have a responsible roommate that can be a good influence, time management is vital. 3. The Best Nights, and the ones I remember the most, were spent in the company of one or two friends, drinking wine or eating at Steak n’ Shake at 4 in the morning. Not blacking out at crazy parties. 4. The unsung hero is the one that goes with their friends to the parties, making sure they limit their vodka sprites and don’t go frolicking off with strange boys. I’ve learned to appreciate filling that role through the year. 5. Social Networking is an actual real networking tool that even professionals use (as a last resort), and now I have a decent argument to use against my parents when I’m spending too much time on Facebook or Twitter. 6. Homemade Food tastes really, really good. Oh, and steak. I will never take for granted again. 7. Knowing things and being an intellectual asset to society is fun sometimes, and worth suffering through economics lessons and foreign films. 8. You have to learn how to talk to people and professors and professionals that you don’t know. That’s the only way to survive with even a hint of social life, and can act as a saving grace when there’s an issue with a class. I’m not good at talking to people I don’t really know, but learned quickly if I didn’t want to spend my entire freshman year with one friend that I should make an effort. 9. Competition underlies everything, and is fierce. My best friends are nowhere near my major, and in return none of us act as competition. But, I have a few friends that pursue the same things I do and I have to watch my snakiness as I research opportunities. That’s not to say DON’T be friends with people in your major, but I definitely have learned that bragging about opportunities will get you nowhere, especially when your resume is so important. 10. It’s really really fun, to live on your own and make adult decisions. Not fully adult, not a child anymore, it’s a fine and fun line that we’re crossing here. I made a quick trip down to Tampa to visit my old high school before coming over to Europe, and I realized that I don’t mind looking back at the memories made there, but I have no need to ever experience it again. I love college, I miss it, and I’ll be happy when the fall rolls around to do it all over again. As I write this, I thank God I am fortunate enough to be sitting outside with the smell of chicken on the grill and the aroma of flowers making this day feel like the first actual day of my summer. That being said, summer “started” on April 26th, but what followed was a flurry of packing and relocating, hasty goodbyes as I made my rounds seeing all of the relatives and acting as ambassador to the Zipperer clan. Last week I spent a good majority of my time recuperating from jet lag after spending close to 9 hours of air time traveling to Stuttgart. This weekend was an exhausting flurry of sightseeing and basketball tournament-watching (the latter of the two because of my brother) in Bruges, Belgium. It was beautiful but I unfortunately and regretfully admit that I don’t have any pictures to share. Apparently in my haste to fit my entire wardrobe into my duffle/suitcase I forgot my camera charger, and my phone spent most of its time dead and forgotten in my purse. Later, I will possibly steal some of the pictures my mom managed to take. I’m assuming that you’ll take my word for it when I say that it was gorgeous. I’m excited to have a bit more time on my hands that I can devote to documenting some of my (many) adventures that I know this summer will hold. Now I just have to wait and hope that the nice weather stays. Shorts weather is bae. Jess and I went and saw Wicked in Austin and it was awesome, although I still think I like The Lion King a bit more. We climbed up Enchanted Rock and ate BBQ at Cooper’s in Lanno, which way heaven. We went two-stepping at Midnight Rodeo, allowing me to use my boots for some purpose and practice my “get away from me creepy old man” skills. We spent a lot of money on breakfast tacos. And that’s really all! Since then, I’ve been working and not really doing a lot of homework and being rather unproductive but feeling like until this summer when European adventures commence I won’t have a ton to write about. But here we go, back to the ol’ blog until the next bit of procrastination and boredom rolls around! My sincerest apologies for being completely MIA for like what, 2 weeks? Totally not my style, but it’s been crazy with midterms and junk that I totally just did not have the time to sit down and write a decent post. So now, not thinking about watching econ lectures or checking calc grades, here I am halfway through spring break and feeling calm, cool, and collected. SB2014 was decided basically midway through fall semester, when my friend Jessica and I decided that the beach was too busy and cliche and Austin, Texas, where her family lives, would treat us well for a week. And we were sure as heck right. We got in late Friday, grabbed some chicken fajitas at Lupe’s down the street, then spent Saturday exploring downtown 2nd Street and getting burgers at Hopdoddy’s. If you know me, you know I can’t pass up local iconic food. Monday we toured the Capitol building, stopped by the mall, where I got a killer business skirt from Express 😉 then went on over to Gourdough’s. Fun fact about Austin: you can buy anything edible out of a truck. So a doughnut covered in honey, peanut butter, grilled bananas and bacon totally happened. Yesterday we walked down 2nd Street again for a bit, then stopped by Barnes and Noble for a short while since they closed ours in Gainesville. Rude. 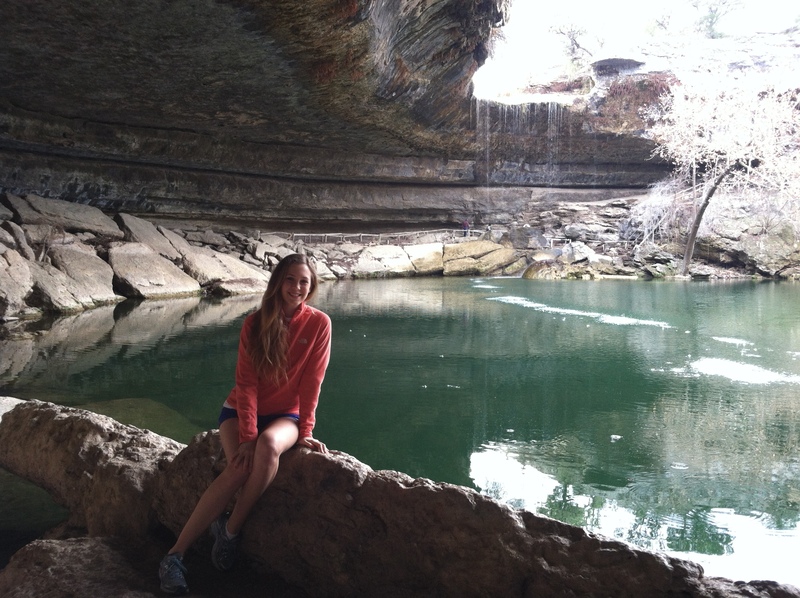 AND TODAY, finally, we ventured over to Hamilton Pool which is seriously one of the coolest natural phenomenons I’ve ever seen. On the way home we stopped by Baguette et Chocolat, where I spent way too much money on crepes and macaroons. That’s only the first half of the fun! The next few days are jam-packed; I have no idea how we’re going to fit everything in! 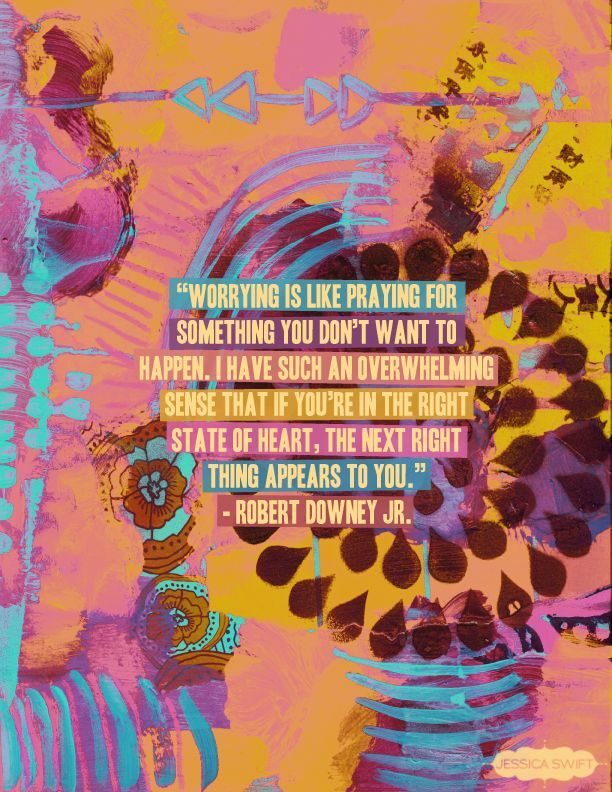 Hope you all are enjoying your break, or if you’ve yet to have it, best of luck on midterms! Today was an absolutely gorgeous day, while it was snowing in most of the rest of the country! I was able to put my new running shorts to use, and went on a good run with my roommate Amber mid-day without dying. I’m loving everything; the gorgeous weather, my classes, and feeling healthy and fit. I have a whole list of races posted on my desktop that I’m working towards, including the Gator Run, a Mud Run, a Color Run (my mom found one in Germany over the summer!) and the Tower of Terror 10-Miler at Disney in October! Then of course Amber mentioned today training for tri-athlons. Heaven help us both! Our goal for the rest of the week is to become swim-certified at the pool here so we can start swimming, sailing, and paddle-boarding in the warm weather. 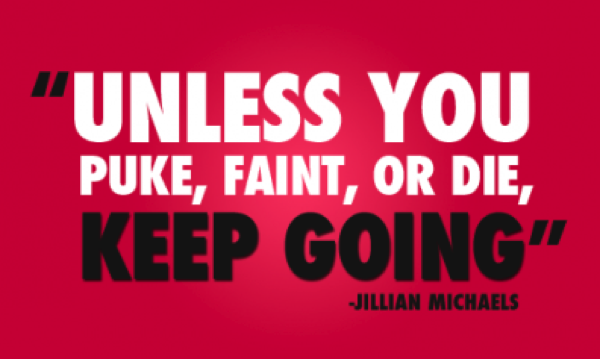 Here’s a little motivation for the rest of the week! Spring is almost here, and we all know what THAT means! Swimsuit season! And there is no way I’m starting this season off with low self esteem. Thank God for my lovely roommate, always the motivator, who insists on going to the gym constantly. Maybe this year my pinterest feed will become something of a reality. Of course, my favorite part of working out is the clothing. My mom always said that working out “isn’t a fashion show,” but then she never went to a large college with a huge gym and girls that intimidate the hell out of you. Besides, it’s a lot more fun when you look cute. Current State of the Union: Laying in bed in my dorm, donning a sweatshirt and socks, very likely to fall asleep whilst writing up this post, and avoiding all responsibility that I have at the moment. In a nutshell, I’m giving myself this afternoon to be fairly lazy after this hectic, exhausting week. I’ve seen a few bloggers do this before, and it’s a fairly easy and quick “get to know you” kind of deal, so I have here my ABC’s of Me. Hopefully you don’t fall asleep reading it. B. Best Friend(s)– Jordee, Haley, and Jessica. We’re pretty darn fabulous. C. Chore You Dislike– Vacuuming. I won’t do it. Nope, no thank you. D. Dogs– No pets now (sad face) but I am beyond obsessed with huskys. One day, when I live somewhere cooler, I will have one named Koda. No ifs, ands, or buts about it. E. Essential Start to Your Day– Coffee! Black or with a little creamer. Preferably out of my Chicago mug. F. Favorite Colors– I’m on an orange kick right now? But always, always, always pink. And I’ve been liking black too. And does gold count? G. Gold or Silver– Gold. Unless it’s like an engagement ring. Then silver. Actually I like both. I’m not a very decisive person. I. Instruments You Play– Ha! Not even going to pretend that I’m musically gifted in any way. K. Kids– One day… definitely not now! L. Live– Ugh. Gainesville, Florida for school? But I call Stuttgart, Germany home currently during winter and summer breaks. Being an army brat has its perks. M. Music– I love me some Coldplay, Maroon 5, and Imagine Dragons on the reg, but I’ve been into a lot of French music like Coeur de Pirate and singers like Regina Spekter lately. O. Overnight Hospital Stays– None, thank the Lord. P. Pet Peeves– When identical items are not symmetrical. Also, the sound of cutlery on plates. Q. Quote from a Movie– Inconceivable. R. Righty or Lefty– Righty! S. Siblings– Two younger sisters and a younger brother. V. Vegetables You Don’t Like– I’m pretty sure I like all vegetables. I’m not a fan of apples. W. What Makes You Run Late– Typically my family and Gossip Girl. Or doing my hair. X. X-rays You’ve Had– Do MRI’s count? Some on my head, a lot on my knees. Y. Yummy Food You Make– I mean, I make some kickass collard greens if we’re being honest. They’re my responsibility every New Years. Z. Zoo Animal You Like– I just really love watching elephants. They’re so intelligent and sweet! 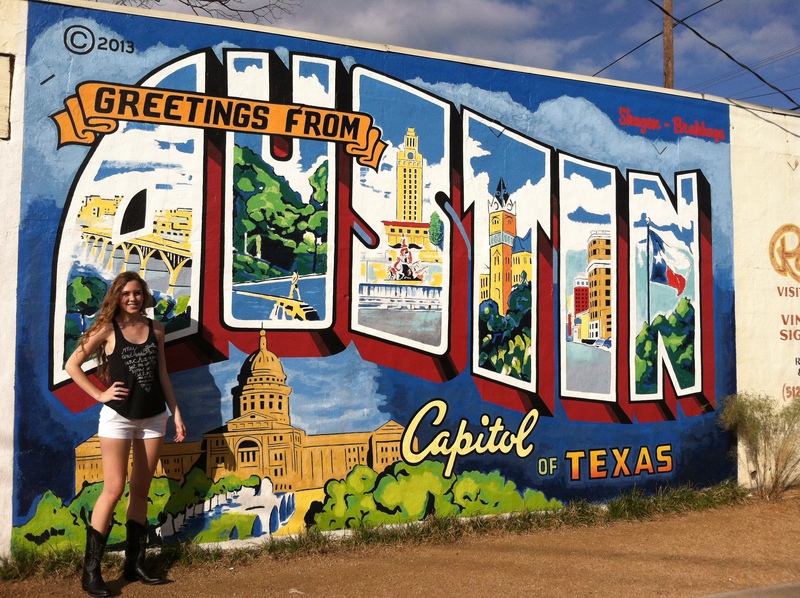 The tickets have been purchased, the excursions are being finalized, and I am officially flying off to the good ol’ Lone Star state on February 28th which is THREE WEEKS FROM TODAY to the lovely, wonderful, perfect Lone Star State for an entire week with my friend Jessica. Much excitement! First of all, major props to my parents for fully being on board with this whole plan that I’ve been discussing since October, when Jess and I ruled out the Bahamas and New York City as adventures we’ll have to have at a later time, preferably when we have a bit more money and experience surviving on our own. For now, we’re totally ok with staying at her place in Austin for the week while we hit up San Antonio, Houston, and Austin Rodeo. You heard that right. Your girl is going to be out there with the cowboys and bull riders. And we all know what this means. And I just love these. I officially have three weeks to pull together $200 from extra shifts and tips and odd jobs and maybe giving blood or donating organs, who knows really. Lord bless my soul. 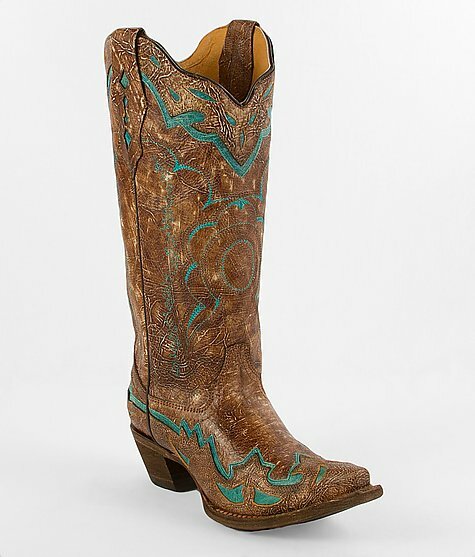 But honestly, what is a Texas trip without a good pair of western boots. And now, it is 2:40 AM and I am crashing off of my caffeine high. Sweet dreams of worn leather and smoked brisket and bluebonnets to all of you.